All young drivers look forward to the day they get their first car, but many of them aren’t prepared for how complicated the process often is. 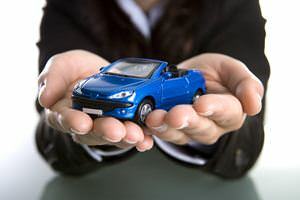 Buying a car involves a lot of paperwork, and once the car is in your possession, you will be responsible for getting it registered and insured. Choosing the right insurance carrier will save you a lot of money and hassle in the long run, so you should examine your options carefully before making a decision. 1. Does The Company Offer The Type of Policy You Need? Before moving forward with any insurance carrier, you should check to see if they offer the policy you need. Not all companies offer every type of policy, especially if you need something unique. For example, if you plan to use your vehicle to deliver pizzas or do some other form of work, then you will need a special insurance policy that covers commercial use. Always check this first as it can help you narrow down your options. 2. Is The Company Reliable? It would be nice if you could assume that any operating insurance company was reliable, but unfortunately, this isn’t often the case. Any company can take your money and promise to offer coverage, but the real test comes when it’s time to settle your claim. Before you sign up with an insurance company, do a check with your state’s insurance department website, which should offer detailed information about the company’s practices. 3. Have There Ever Been Any Complaints About This Company? One good thing about living in the age of technology is that everything has become very transparent. If your potential insurance company has had issues with customers in the past, you will easily be able to track this information down on the Internet. Of course, this isn’t to say that you should immediately turn away from a company just because you see a few complaints. Most major carriers will have some complaints against them. Some people find fault in everything, and there are always two sides to every story. However, if you see a big difference between the number of overall complaints and the number that were resolved, the company is probably not a good choice. 4. How Much Will a Policy From This Company Cost You? Once you have gathered a list of insurance carriers that are trustworthy and can offer you what you need, it’s time to compare prices. A variety of things can affect the price of your policy, from the type of car you drive to whether or not you’ve ever had a ticket. You will want to discuss these factors with a representative from each of your possible carriers and, choose one that can offer you the most bang for your buck. 5. Can Another Insurance Company Offer You a Better Deal? Once you have your insurance figured out, it’s okay to relax a little. However, if you really want to save money, you should always be on the lookout for a better deal. Keep an eye on up-and-coming insurance companies and periodically ask for quotes from your carrier’s competitors. As you grow older and your situation changes, a company that once had too high a price could potentially offer you a better deal. You will never know unless you try.